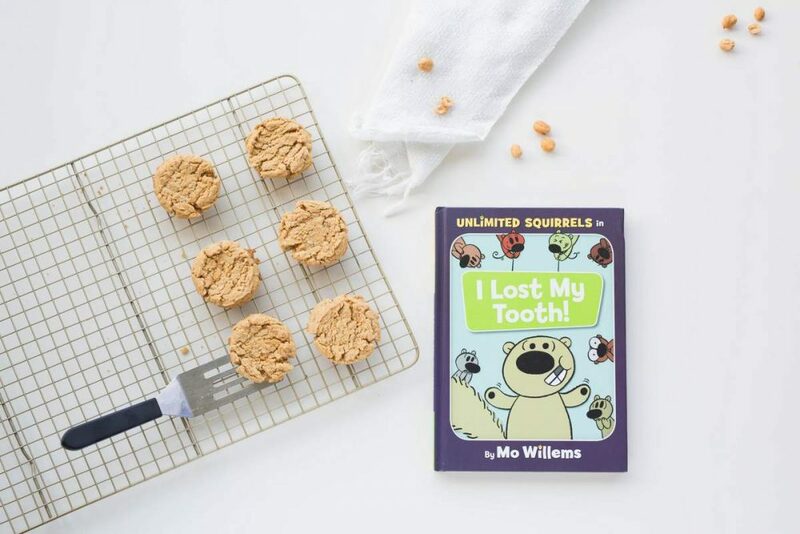 This post is sponsored by Disney Book Group in celebration of the new Mo Willems’ series, Unlimited Squirrels! You guys! 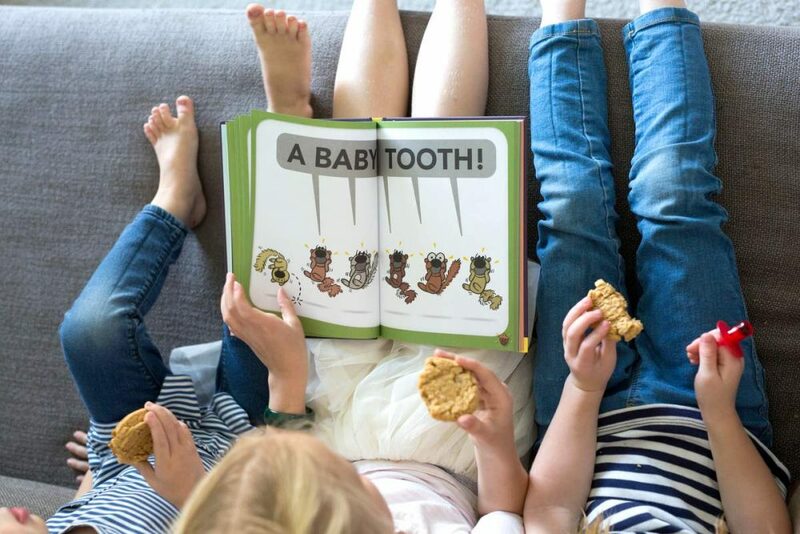 A new Mo Willems book. Who even needs Christmas at this point? Actually, it gets better than a new Mo Willems book. This is the beginning of a new Mo Willems SERIES. 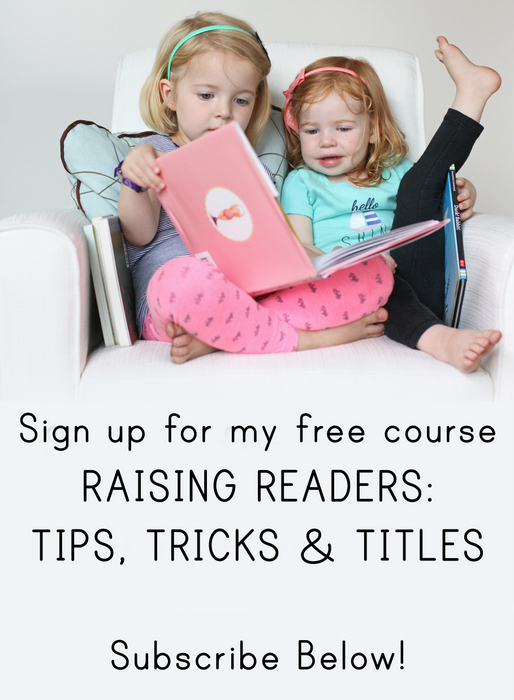 If you are a fan of Elephant & Piggie (and who isn’t? ), the Unlimited Squirrels books are in the same vein, although they have their own unique spin. 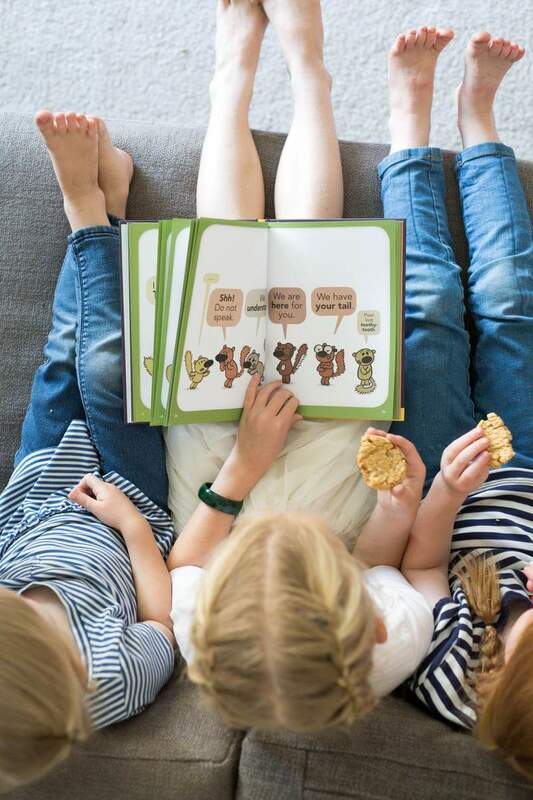 The Unlimited Squirrels series has the same style of illustration with speech bubbles and blank backgrounds that Elephant & Piggie has, but these books also have several sections in each book. There’s a funny adventure story, and after that there, is a section with jokes, quizzes, and then fun facts. It’s basically a perfect hybrid book for fiction and non-fiction lovers. In this first installment of Unlimited Squirrels, I Lost My Tooth!, Zoom Squirrel has lost a tooth. The other squirrels, naturally, are frantic. How could he have let the tooth get lost? That poor baby tooth, all alone out in the world. WHY DIDN’T HE USE A LEASH?! 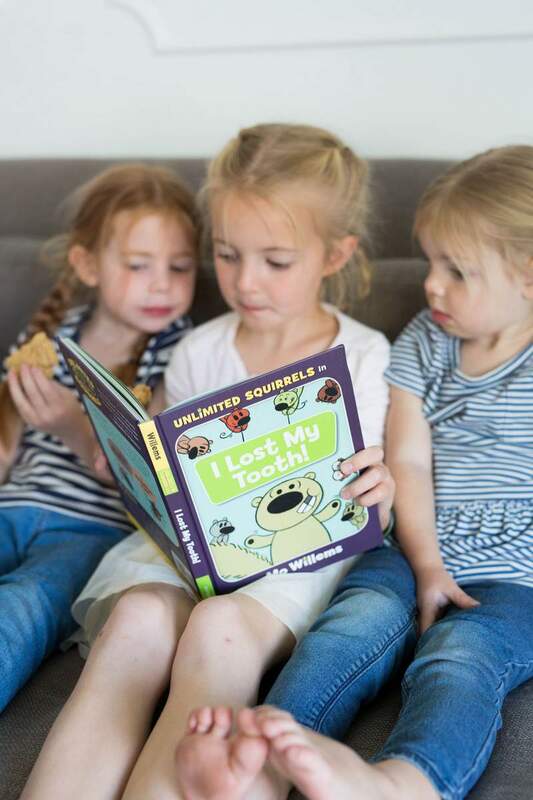 My girls were delighted, as they always are by a Mo Willems book. He has such a fantastic sense of humor that appeals to both adults and children, and Unlimited Squirrels is no exception. At the end, there’s a section with facts about teeth, both human and squirrels. Did you know that squirrels lose their back baby teeth? I had no idea, but I’m certain to work it into casual conversation. Squirrels DON’T lose their front teeth which they use to open food like fruit and nuts. 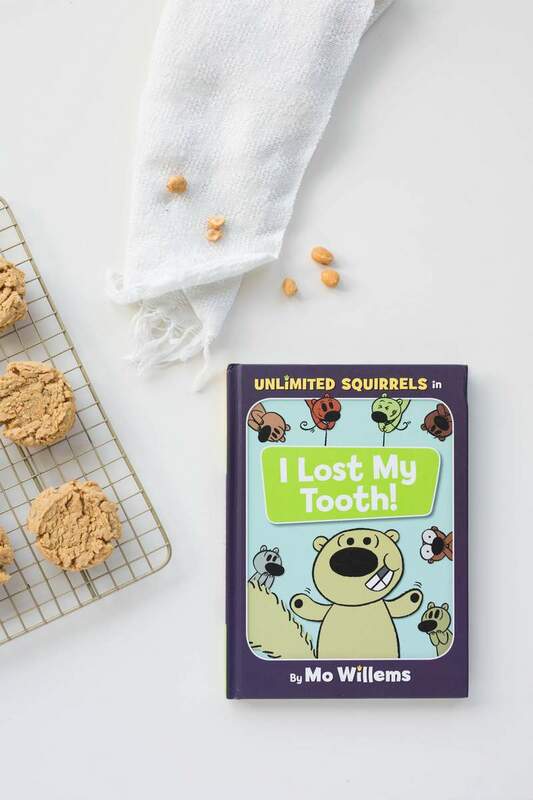 Of course, after reading a book like this, we needed to use our own teeth to eat some nuts, although we opted to go the easy route with peanut butter instead of trying to crack a bunch of the shells on our own. And these peanut butter cookies are PHENOMENAL. I would rarely choose a peanut butter cookie over, say, a chocolate chip cookie, but these ones are tremendously good. I’d ask a squirrel to back me up on it, but I’m not willing to share any of these. 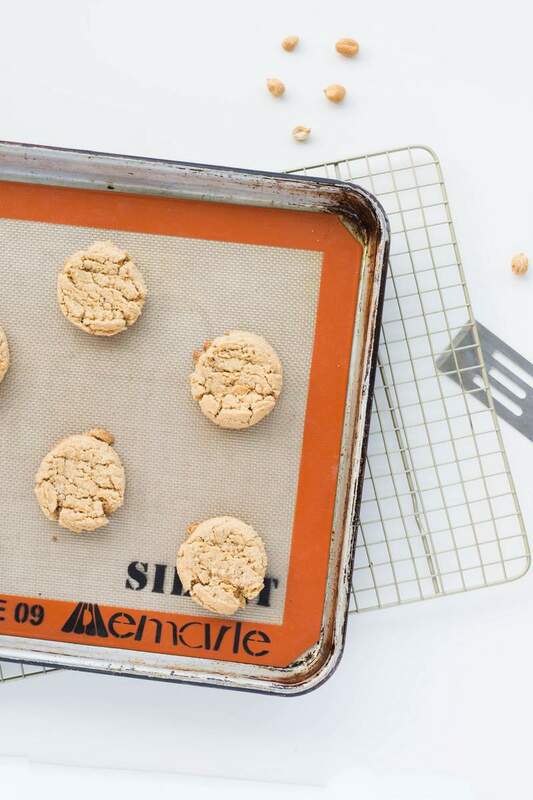 These simple peanut butter cookies only need one bowl! Preheat the oven to 350 degrees. Line a baking sheet with parchment paper or a silicone liner or light grease the pan. In the bowl of a stand mixer with the whisk attachment, beat the peanut butter and butter together until smooth, about 1 minute. Add the sugars and beat until smooth, then add the egg and vanilla and whisk until smooth. Pour the flour, salt, baking soda, and baking powder on top of the peanut butter mixture and then mix until just combined. 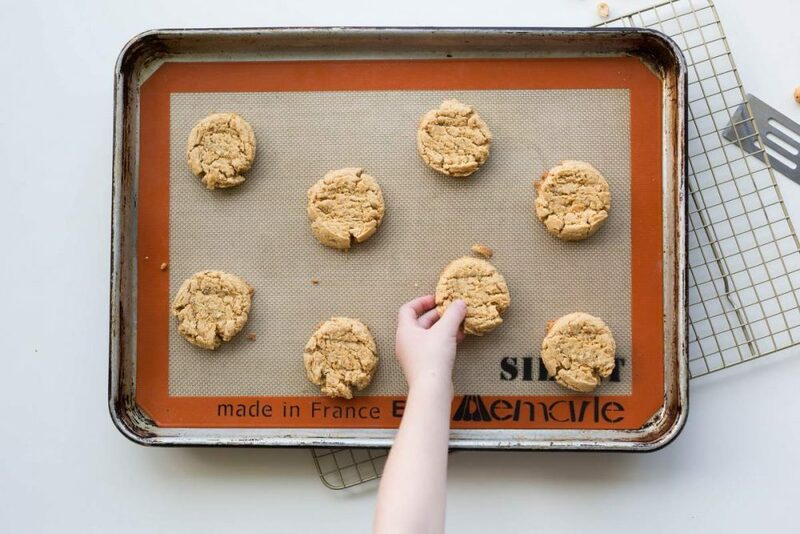 Using a medium cookie scoop, measure out balls of dough (if you don't have a cookie scoop, you can make 1-inch balls with your hands) onto the cookie sheet, spacing them 2 inches apart. Bake for 10-11 minutes, until the tops aren't shiny and the bases are just beginning to be a deep golden brown. As soon as you take the cookies out of the oven, gently flatten the cookies in criss-cross pattern with a fork. Don't press too hard! Gently transfer the cookies to a cooling rack to finish cooling (or serve warm - a squirrel wouldn't wait). You had me at new Mo Willem’s book! So excited about this! 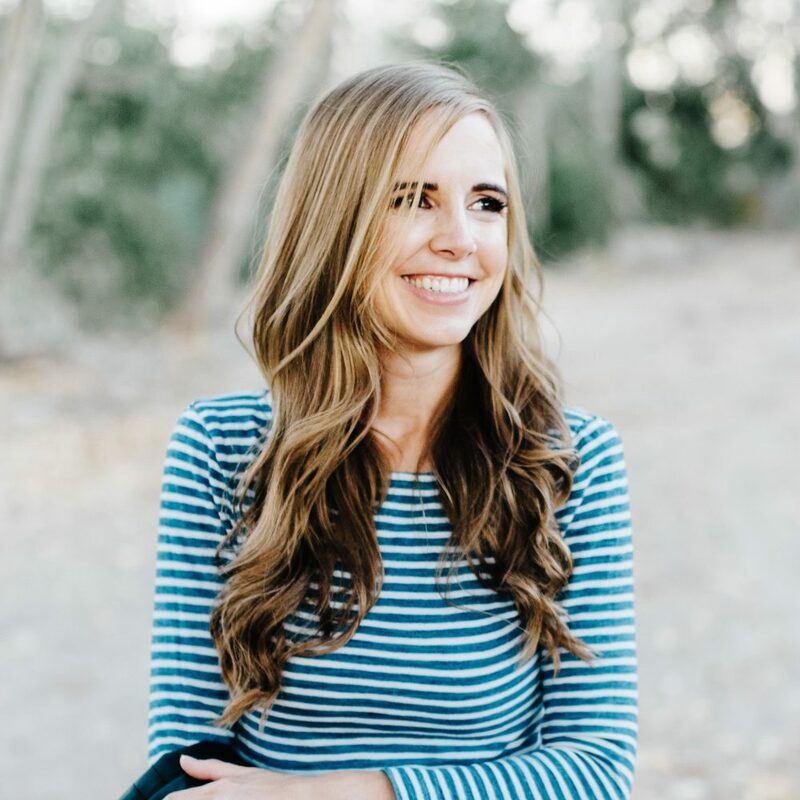 WHATTTTTT THIS IS SERIOUSLY EXCITING NEWS!!!!! Thanks for the heads up!! Just suggested for my local library to purchase it! One of my sisters is a kindergarten teacher and when she told me about this I was ridiculously excited. And my son is itching to lose his first tooth so he’ll be extra excited about this!